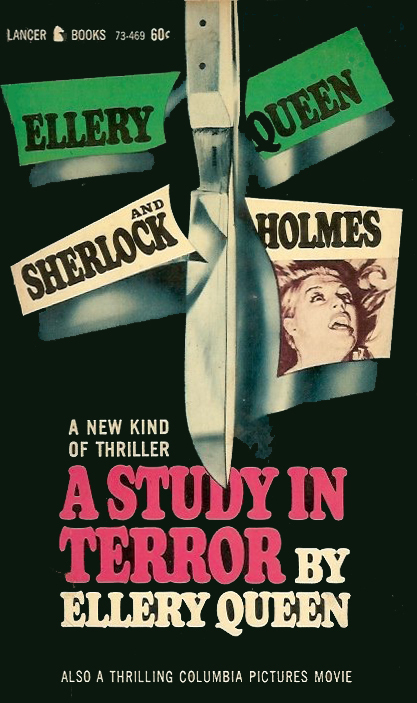 One of the more novel novelizations is this adaptation the 1966 film A Study in Terror written by none other than Ellery Queen. 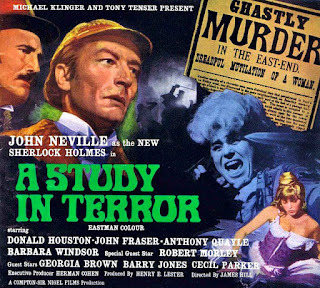 The film starred John Neville as Holmes and Donald Houston as Dr. Watson. The savage killer roamed the dark streets and alleys of London. No woman was safe from his swift, gory attacks as murder followed murder. No man could stop the menace or even guess the identity of the brute called . . .
No man . . . except Sherlock Holmes. Now it can be told––in this gripping modern thriller. 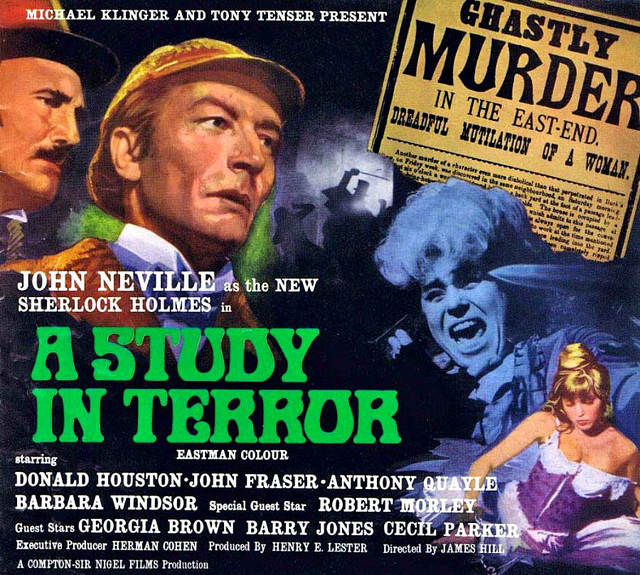 Sherlock Holmes did stalk Jack the Ripper in 1888, and through a quirk of fate that is a mystery in itself, Ellery Queen follows in his footsteps in 1966. The two greatest detectives of all time match wits with each other––and together arrive at a solution that will stun you.